When it comes to building communities online, finding people who share your interests and passions—and therefore are likely to be interested in your books—nothing beats your author blog. In other words, what do are you supposed to do with those communities once you find them? How is all this blogging and interaction going to help you market your books? The essence of effective marketing is built around relationships. If you have no relationship with the people you’re talking to, you are just another impersonal voice coming from the wilderness with no trust, loyalty or empathy attached. That doesn’t work so well. The communities we find online are opportunities or invitations to enter into relationships. Managing the interactions you have online comes down to relating to people in a way that stimulates response. What Is A Response, Anyway? When you think about it, although everyone doesn’t have to respond to everything you do—and believe, me, they won’t—you do want people to respond sometimes, because otherwise you don’t have much of a relationship, do you? So a lot of our engagement comes down to this: will people respond to what you have to say? This is the kind of responsiveness I’m talking about. No matter how many readers, fans or subscribers you have, you need to craft your communication as if you were sitting across from a friend or acquaintance you sincerely want to help at a coffee shop, answering their questions. For some of you this is easy, it’s what you would do anyway. But for others—like me—you have to continuously monitor yourself. I find that when I’m not paying attention, my writing will drift into abstractions, preaching, and “teaching from the mountaintop” and believe me, it’s not very satisfying for me, either. But when I imagine you sitting here with me, and that I’m responding to a sincere question you’ve asked, it changes everything. Now I’m focusing on you and how you can get to the next step, overcome the specific obstacle in front of you, find the one thing that will help you get moving in the right direction. This is especially important in social media, where there’s so much stuff coming at us it’s easy to fall victim to artificial ways of communicating. I think you’ll find that people who are able to attract a community of interest have a very personal and personable way of interacting with that community. You may have 5,000 “likes” on Facebook, but you’ve still got to talk to your fans as if you’re talking to a single person. You might find it easier if you imagine one specific person who you know and like, and write like you’re talking to her. I’ve talked about this method before, of creating an avatar that represents your idea fan, buyer or tribe member. 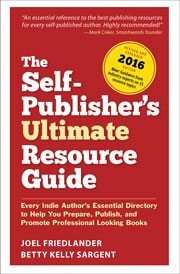 A blog can form the central part of your online book marketing efforts, and blogs are uniquely suited to function as a platform for authors. And the biggest part of that platform will turn out to be the permission people give you to talk to them about the subjects you share in common. For a great article on ways to earn the trust of your community, check out this post on 49 ways to gain the trust and loyalty of your audience. And remember, no matter how large or small your community of readers, each one has already given you what’s most precious in their lives—their time and attention. Treat them well and they will repay you handsomely. I was just thinking about comments on blogs this morning, right before I read this post. I’ve run across a couple of blogs lately whose owners have deactivated commenting, which seems like it is missing a huge point of blogging. Often when I write a post, the comments add a richness and depth that hadn’t even occurred to me! Thanks for a helpful post. One good way to create blog posts — and even books — that will be responded to is to find out what your target audience is talking about or asking about. Use search engines to find terms like those I’ve listed below. Simply replace “golden retriever” with “super hero,” “Argentina” or another general subject.